There are so many wonderful websites, books, courses, articles, podcasts online about the Law of Attraction and manifesting the life you want that I decided to put my favorites all in one place to help you sift through the masses. These are all sources that I've used myself and personally love. My free 17 page mini course to get you started! Change your mindset, change your life! Get access to all her Freebies! Unleash Your Inner Money Babe- a 21 day money manifesting challenge. Great if you want step by step guidance along with something to do EVERY day with a goal in mind! Become A Client Magnet Guide- If you're struggling to grow your business, this is the book for you! Tons of amazing insight and principles that Kathrin has used to grow her business to more than $10,000/mo in passive income and gained loads clients. Instagram Business Babe- struggling to grow your IG following for your business? This was made for you! She also just released her new VIP club. It's only $33/mo right now and contains a ton of her normally paid for courses and other extras that you can only get if you're a VIP. She's got some awesome money manifestation meditations, How To Create 5 figure Months in Online Business (the exact tips she has used to create $10,000+ months in online business) and much more. She will be adding a bunch of new stuff later this week and 2-3 new items every month! And a super in depth 6 week long Rich Babe Master Class. Some links are affiliate links and I may get a small commission for referring people if you purchase something through those link. No extra cost to you. Thanks for supporting Live Simple, Travel Well. Tips For Traveling With Kids: When Is It Okay To Overpack? This blog is a personal blog written and edited by me. 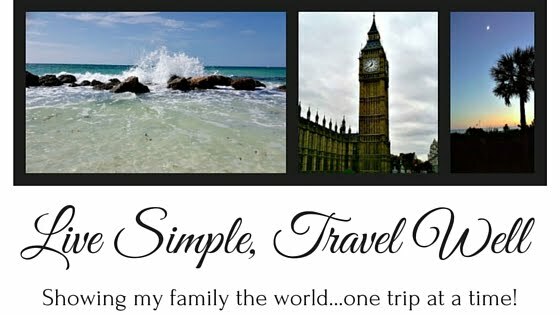 For questions about this blog, please contact Kelly at Kelly@LiveSimpleTravelWell.com. The owner(s) of this blog has not been compensated to provide opinion on products, services, websites and various other topics. The views and opinions expressed on this blog are purely the blog owners. If we claim or appear to be experts on a certain topic or product or service area, we will only endorse products or services that we believe, based on our expertise, are worthy of such endorsement. Any product claim, statistic, quote or other representation about a product or service should be verified with the manufacturer or provider. This blog is willing to accept forms of fee advertising, sponsorship, paid insertions or other forms of compensation if the owner feels that it will fit with their blogging ideals and benefit it's readers. This blog abides by word of mouth marketing standards. We believe in honesty of relationship, opinion and identity. If compensation is received, it will only be accepted if Pieces Of Me feels it will fit within their blogging topics and be of helpful or interesting information to it's readers. That content, advertising space or post will be clearly identified as paid or sponsored content. Template Created By : ThemeXpose MapleDesigns. All Rights Reserved.